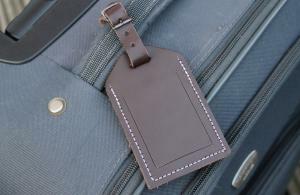 Pair of Luggage tags, made from luxurious Italian leather. 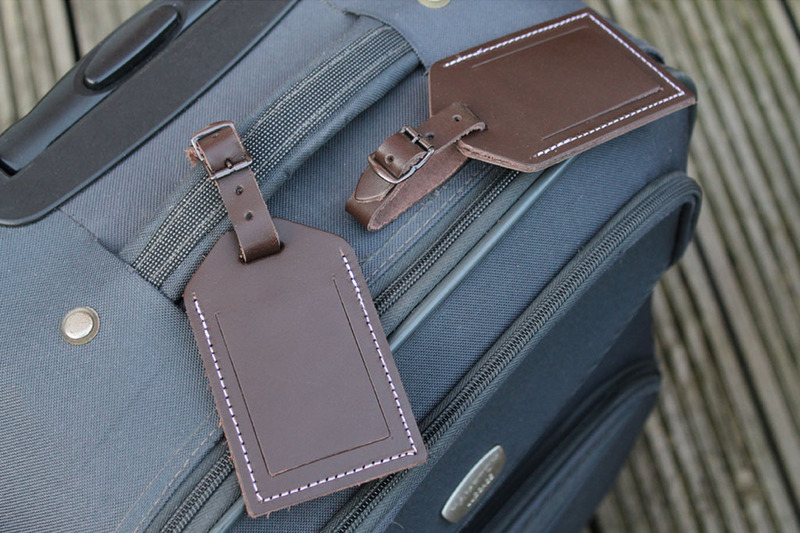 A traveler's must have accessory. 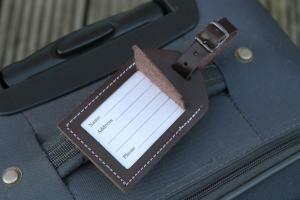 This pair of leather luggage tags each have an address label concealed and protected beneath a clear cover.